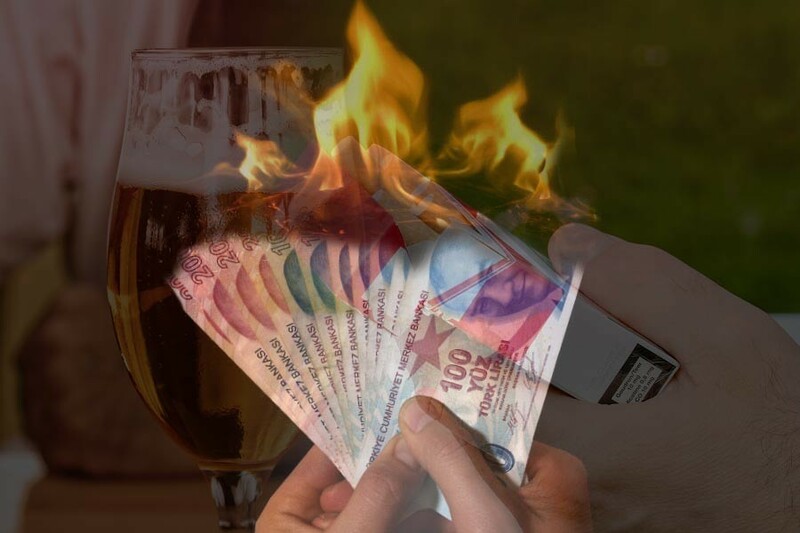 Turkey has added an additional 15.5 percent special consumption tax to alcoholic beverages, left-wing newspaper Evrensel reported. The announcement comes as no surprise as Turkey announced it would be applying a tariff ranging between 5-70 percent on 22 different goods from the United States in response to a recent move by the U.S. to implement high tariffs on imported steel and aluminum. The new taxes are also expected to affect rice, alcohol, cosmetics, paper and automobiles, Evrensel said. Turkey's stiff alcohol taxes in recent years have led to catapulting prices for beer and the country’s popular anise-flavored brandy called raki. AlkollÃ¼ iÃ§kilerdeki Ãzel TÃ¼ketim Vergisi yÃ¼zde 15,5 artÄ±rÄ±ldÄ±.